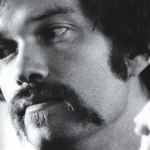 One of the most influential guitarists to earn initial renown in the mid-1970s, John Abercrombie continued to make exceptional music as he grew and explored, ever-refining his approach across the decades. As NPR declared, he was “an intrepid and deeply lyrical guitarist who made a formative contribution to jazz-rock before refining a judicious, poetic iteration of post-bop.” Like his breakthrough LP as a leader – the aptly titled Timeless of 1975 – John’s final album, Up and Coming, was released by ECM Records in January 2017. In between came dozens of albums primarily for ECM as a leader, co-leader and key sideman, an evergreen body of work that helped define the label and will continue to confirm his stature as an innovative, individual artist who inspired his great colleagues as well as multiple generations of guitarists. Nels Cline, one of those guitarists shaped by recordings, performances and conversations from across John’s long career, said in an appreciation published in Premier Guitar: “It’s so hard to imagine our collective musical life without him.” Cline will join a dream lineup of John’s dear friends and close collaborators – Jack DeJohnette, Joey Baron, Marc Copland, Mark Feldman, Drew Gress, Adam Nussbaum, Bill Frisell, Joe Lovano, Marc Johnson, Eliane Elias, David Liebman, Randy Brecker and Thomas Morgan – to pay tribute to the beloved guitarist’s life and music in an evening-length event underscoring his legacy and influences. Along with his career as performer, composer and recording artist, John was also a teacher, lecturer and mentor at Purchase College of the State University of New York.